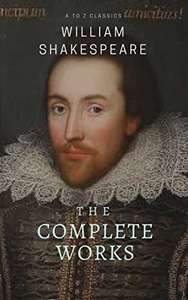 The Complete works of William Shakespeare (includes 150 pictures & Active TOC). Never heard of this author. Has he done anything good? To get or not to get. That is the question. I have of late, but wherefore I know not, completely filled up my Kindle and need to start deleting things. Thanks - will let my daughter know!